to keep up with both of them properly. Morning on this Small Business Saturday! Been busy since 4 am--- adding gifty-stuff and Christmas decorations to the Etsy shop and creating a special holiday SALE, offering tables to artists for our Jackson Street Holiday Market, planning-planning-planning, facebooking and tweeting. Right now, I want to let everyone know that I have beautiful Reiki gift certificates available, and they're discounted when you purchase multiples. 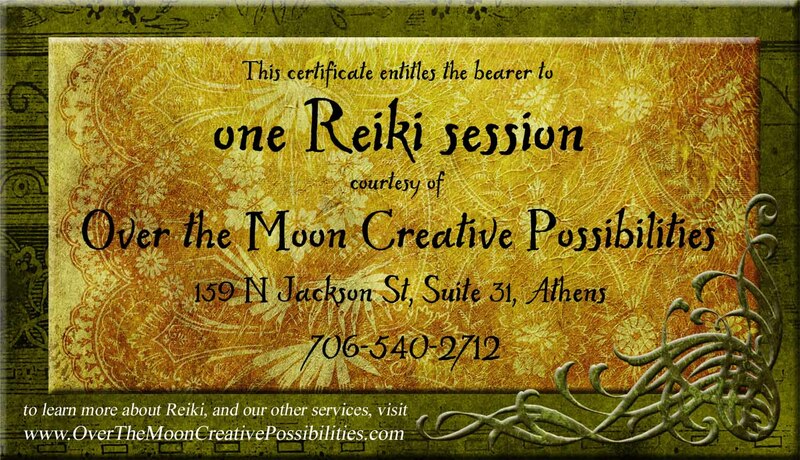 Not familiar with Reiki? 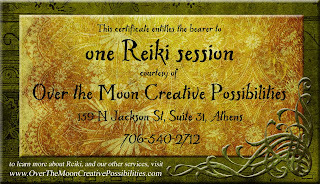 Read up on it a bit on my Reiki page. Multiple pricing is listed there as well. I can't think of many folks who wouldn't greatly appreciate the gift of health, stress-relief and deep relaxation!